Welcome to our Chevy auto engine warehouse where a used engines and Chevy truck engines are ready to ship FREE. End your troubles. We are family-run and the #1 provider of used Chevy truck motors and used Chevy auto motors for drivers and enthusiasts, just like you. Get your engine replaced and forget about it. That's your objective. Our goal is to let you know what it really takes to get the price you want while ensuring a reliable engine. Here, you get FREE quotes with the best service. Here, used and rebuilt engines come with a 100% money-back guarantee as with all our used auto engines. Get FREE quotes. No email required. No obligation. You're welcome. Does your Chevy truck need an engine or does your auto need a Chevy motor? Imagine getting a quote without playing phone or email tag! One representative locates the best prices in 2 minutes. For example, let's say you're looking at prices on a rebuilt engine for your Chevy truck because of its warranty. While scouting, your personal rep will watch for high quality used Chevrolet truck motors at better prices and low mileage. Chevy engines and rebuilt auto engines frequent clearance, but move quickly. Get exclusive offers by phone. Welcome to Sharper Edge Engines! Our used, rebuilt or reconditioned Chevy engines are, mostly, third generation Chevrolet auto motors or those younger than 1998. Some second generation GM auto engines carry over into the third generation Chevrolet models. Call with your VIN to check yours. We source three types of auto engines. We supply used auto engines for individual drivers, DIYers, specialty auto mechanics and Chevy enthusiasts, because we have great sources. Ours provide the most performance integrity for the lowest buck. Not every used engine dealer cares. We do. Rebuilt car and truck engines are removed from vehicles following write-off or those without engine damage.Auto motors in this category have more miles. They require minor to extensive parts replacements or repairs. The various price tags reflect this work.Proper engine restoration is imperative to reduce failure rates and increase engine performance. Make certain yours was handled by a professional.Ours are.Restoration involves cleaning, inspection, replacement of worn or damaged auto components from other engines, more inspections, rigorous testing and, again, inspections and testing. 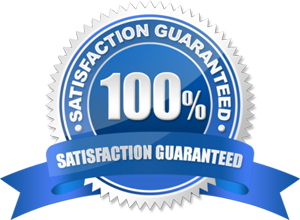 We provide guarantees. Believe us when we claim our process is thorough.Our prices are lower, because we are selective in acquisitions and have reliable sources. Many reserve for us. That's how your engine is better. Warranties are available as described for our used engines. Reconditioned auto engines or remanufactured Chevy motors are often the more pricey option for engine replacement. These are meticulously cleaned, refurbished to exact manufacturer standards and more depending on its original condition. Engineering standards for this type of engineering is across the board. Everyone must meet them.The difference in quality of your engine from this category relies solely in the quality of the workmanship. In short, whether your engine is going to last rests upon the auto engineers at the task. Our remanufactured engines are tooled in house, so we can gauge quality and afford that guarantee. Remanufactured engines often last for two more generations. It's likely your window motors would need replaced before its engine fails. Keep checking prices on the engine for your Chevy model. It could be on sale. Call frequently. No obligation. You're welcome!